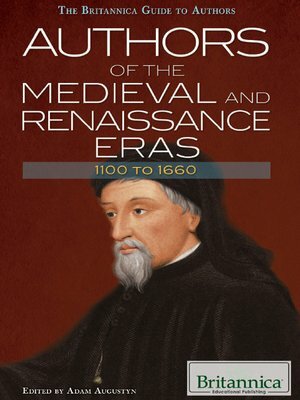 As Europe's religious, social, economic, and cultural identity began to take more definite shape in the medieval and Renaissance eras, so too did its literary identity. By capturing in ink the spirit of these transformative periods, such literary giants as Geoffrey Chaucer, Miguel de Cervantes, William Shakespeare, and John Milton laid the foundations for literature, drama, and poetry today. Readers will be introduced to these and other notable figures from around the world whose works have had an equally enduring impact on the global literary canon.